These words have hung next to my bed for the past year and a half and I have wrestled with their meaning. How do you "be loved" exactly? I feel like a walking contradiction. On one hand, I find myself chasing down love and acceptance and approval from others. But when I get it, I reject it because I deep down don't believe I'm worthy of it. My past informs me, my present believes it — the lie of not ____________ enough. This girl, who wonders if love is earned, who questions if people only value her for what she does and how well she does it. Always the good girl, the yes girl, the rule follower, bending over backwards to stay in other's good graces. It's painful and it has to stop. 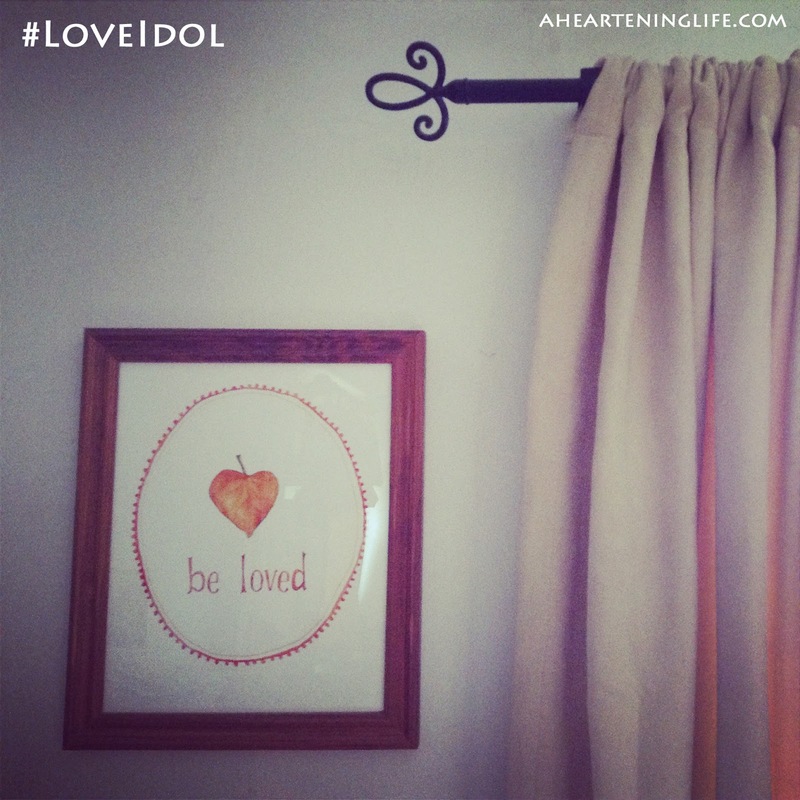 There's a movement to identify and get rid of love idols. And the reason it resonates so strongly for me is I believe this is a universal issue. We all have things we are white-knuckle holding onto. And we are afraid to let them go. Or perhaps, we're afraid to let something new in. What if I just accepted that I am loved? What if I revel in it? Surrender to it? What if "be loved" is an action I choose every day? A place that I can rest in, believe in, and trust. Because I am loved…period. You don't need to know who I am or where I came from or what I do or don't do or how well I do it to know that I am loved, lovable, treasured, and cherished. "we are born unclothed/as we came, we will go/from the first, we are known/being loved is a hard thing to take/I will try, I will try"
So during a season when people are giving up things for Lent, I will join my friends at the Love Idol Movement and give up my need to prove to myself and others that I am loved and worthy of it. And just be loved. I will try, I will try. 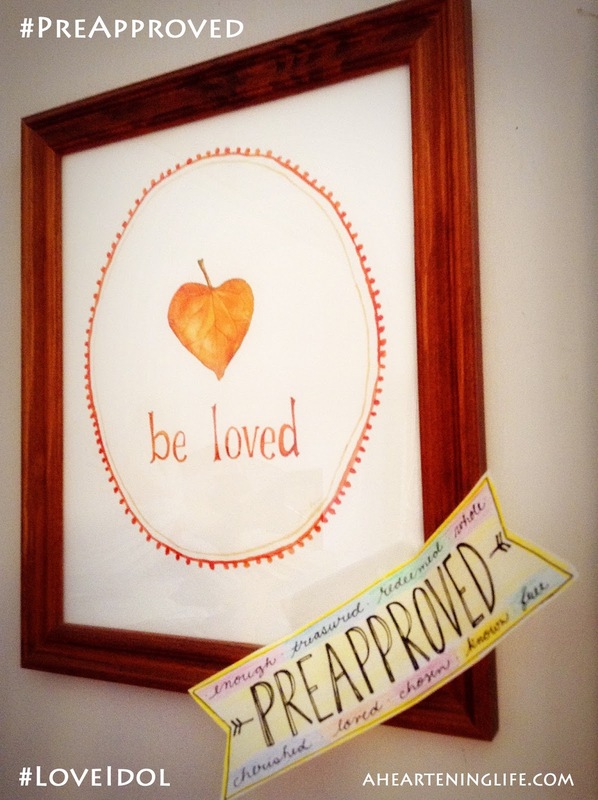 My name is Christy and I'm #preapproved by God. 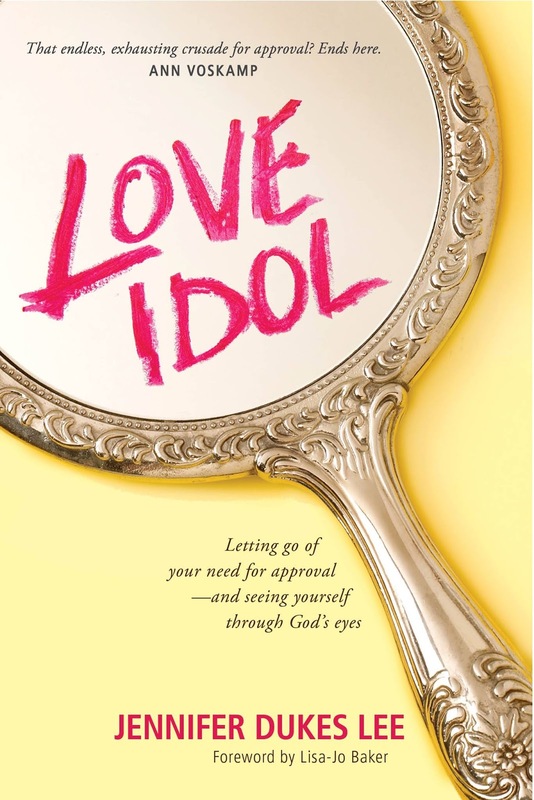 Jennifer Dukes Lee has written a book called, "Love Idol" that examines our need for approval and affirmation from others. It exposes the idols we cling to and challenges us to, by any means possible, remove them, throw them across the room, smash them into teenie-tiny pieces. Because getting rid of our "love idols" helps us hear the Truth again and reconnects us with an unconditionally loving God who has already decided we are worthy, valuable, loved, treasured, and approved. and yet beloved, approved and worthy in His eyes because of Him! and He will be glorified! love your transparent heart friend. this world and our lives are walking contradictions, thats part of our battle that we face here on earth, its part of the journey to holiness. So true, Christy! Our performance based efforts to gain love ARE exhausting. I'm so guilty of living that life. Be loved! This reminded me of the song by Christy Nockles called "be loved". You'll have to look it up on You Tube. This was beautiful. I'm so grateful for the words you share here, and the way simple words and paintings can call us back to our true home in Christ. Thanks so much for sharing.